Dust jacket present. Usual signs of a well read book but good overall condition. May not look good on your bookcase after reading and probably not suitable as a present unless hard to find elsewhere SECURE DAILY POSTING FROM UK. 30 DAY GUARANTEE. Very Good. Light wear to boards, content clean and sharp, solidly bound, good DJ with some wear. Very Good. No Jacket. Size: 19 to 25 cm tall, Octavo, (8vo); 1st class post to the UK, Airmail worldwide. Robust packaging. Good. VG condition book without dust jacket. Boards are clean with little wear. Book has clean and bright contents. Good. Boards have some light wear. Content is clean and bright. No DJ. Very Good jacket. The Folio Society, London, 1994. 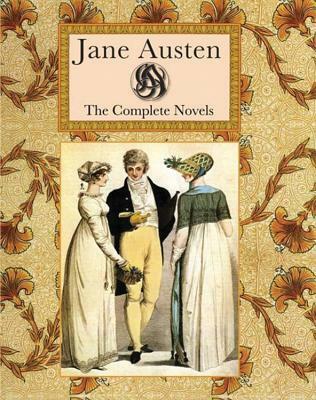 Six-volume set in original slipcase. Minimal scuffing to exterior of slipcase. No damage to volumes themselves. Interior of volumes bright and clean. Binding tight. Very good. 1989 Sixth Impression. Reprint of the 1975 Folio Society edition. Seven volumes. Introductions by Richard Church. Wood-engravings by Joan Hassall. Quarter grey cloth, spines gilt, with decorated papered boards. With the papered in slipcase. If more information required, please inquire. Jane Austin is a timeless author. If you have not read her stuff, you should begin. She has interesting views of people and their lives in the times she writes about. The characters come alive for you and her stories stay with you. just great. loved having them all in one and it was not Too big to handle.